Indigenous peoples throughout the world tenaciously defend their lands, cultures, and their lives with resilience and determination. They have done so generation after generation. These are peoples who make up bedrock nations throughout the world in whose territories the United Nations says 80 percent of the world’s life sustaining biodiversity remains. Once thought of as remnants of a human past that would soon disappear in the fog of history, indigenous peoples—as we now refer to them—have in the last generation emerged as new political actors in global, regional and local debates. As countries struggle with economic collapse, terrorism and global warming indigenous peoples demand a place at the table to decide policy about energy, boundaries, traditional knowledge, climate change, intellectual property, land, environment, clean water, education, war, terrorism, health and the role of democracy in society. 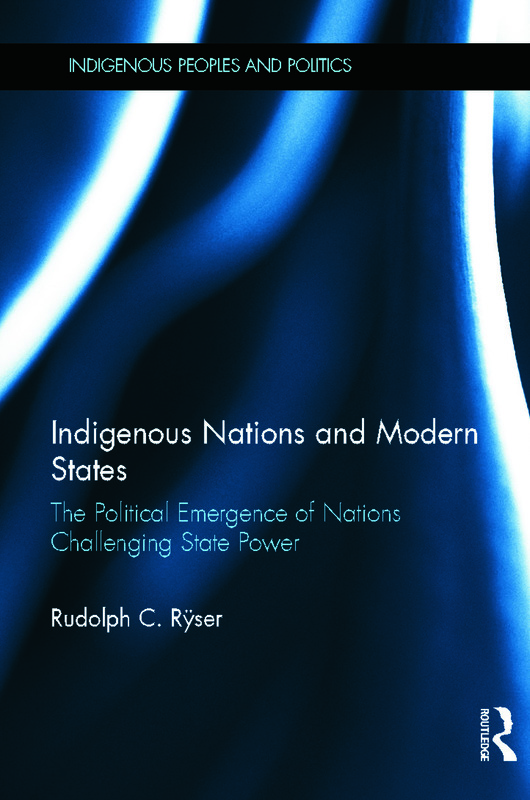 In this volume Rudolph C. Ryser describes how indigenous peoples transformed themselves from anthropological curiosities into politically influential voices in domestic and international deliberations affecting everyone on the planet. He reveals in documentary detail how since the 1970s indigenous peoples politically formed governing authorities over peoples, territories and resources raising important questions and offering new solutions to profound challenges to human life. Four Nations and the U.S.A.